Dinosaur Comics - November 7th, 2018 - awesome fun times! 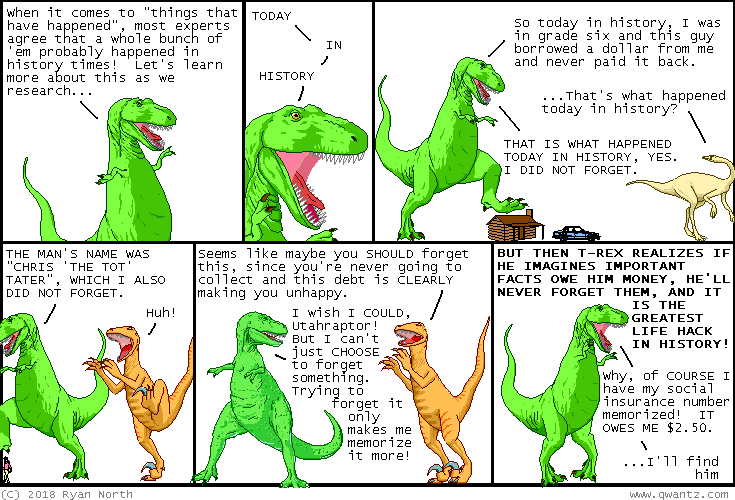 –From now on, Utahraptor, you will be known only as "Utahraptore"! November 7th, 2018: I feel like I could write history comics forever - there's so much of it! - and yet, I do not want to write history comics forever! !